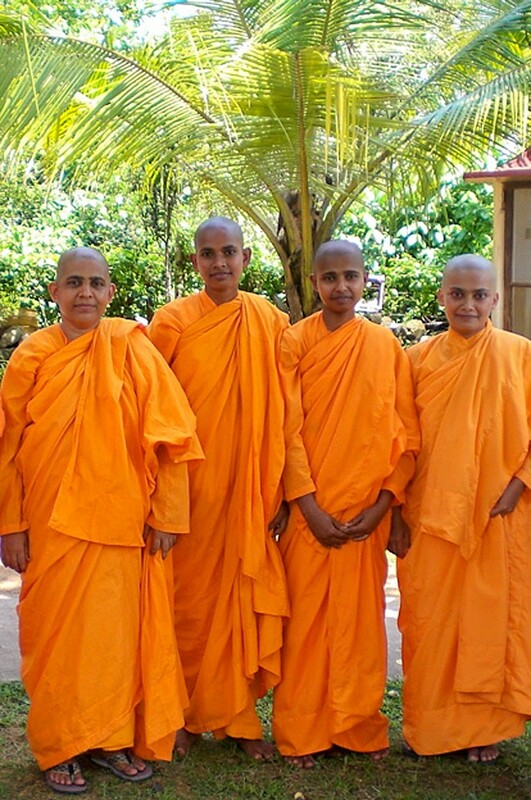 The Sakyadhita Training and Meditation Centre south of Colombo offers residential training facilities for newly ordained nuns. Besides ongoing further education in Buddhist teachings, there are English and computer courses, as well as courses in social work, offered by Sri Lanka's Sankyadana movement. The Centre also provides the opportunity for foreign 'nuns-to-be', to prepare for their novice ordination, where this is not an option in their own home countries. An increasing number of nuns take higher education like the monks. Some of them choose a university education, others prepare for the religious examinations conducted by the Ministry of Buddhist Affairs. Under the Sakyadhita Nuns Sponsorship Programme, nuns who are desperately in need of financial assistance to continue their studies, are provided with a monthly allowance. Highly trained and fully ordained nuns will play a decisive role in the development of the newly established Order of Nuns in Sri Lanka.